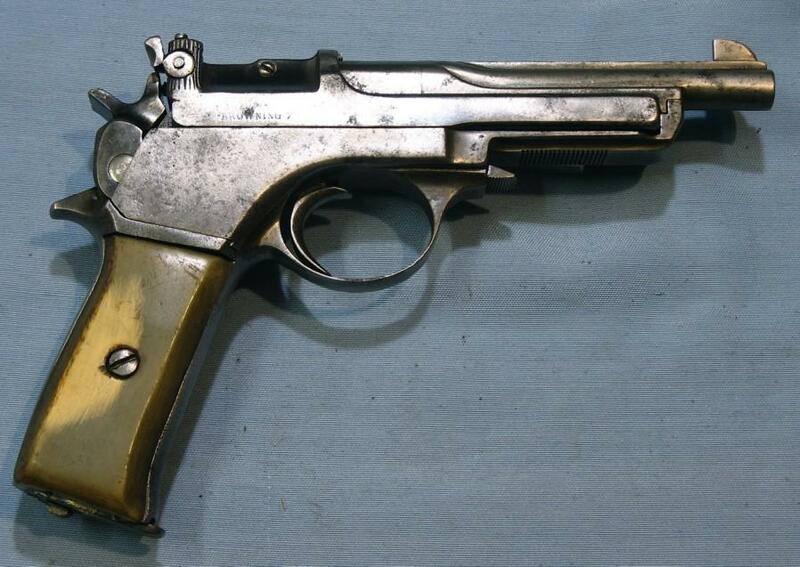 I found this pistol right before leaving Uruguay so I only took some quick pictures. 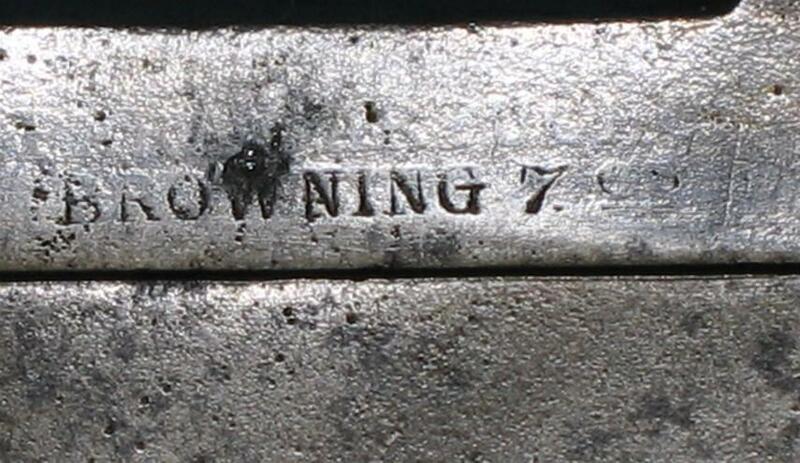 I did not measure the barrel or look for marks, etc. 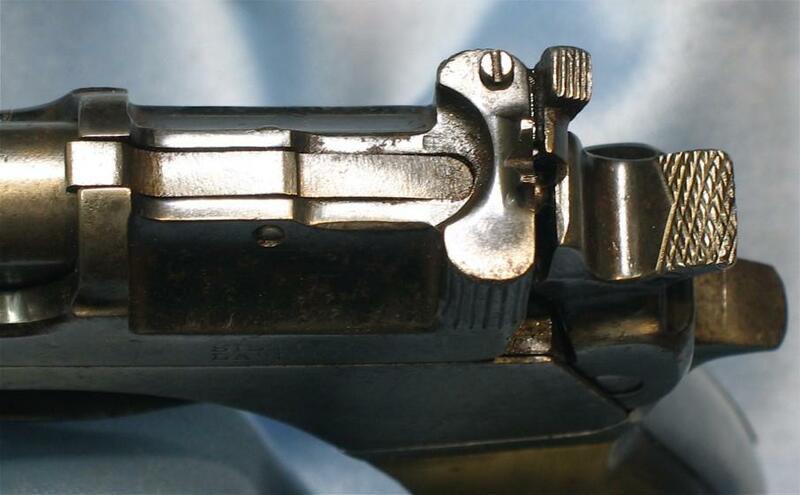 But, as I mentioned, the book by Gangarosa says that this was an improvement over the Mannlicher because it was chambered for the Browning 32 ACP and because it had a detachable clip. 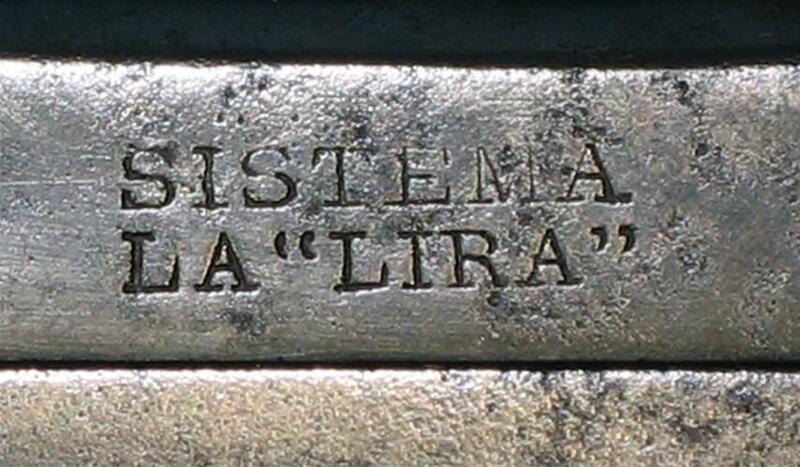 This is an earlier model of the Unceta La Lira because the magazine release button is on the magazine itself. 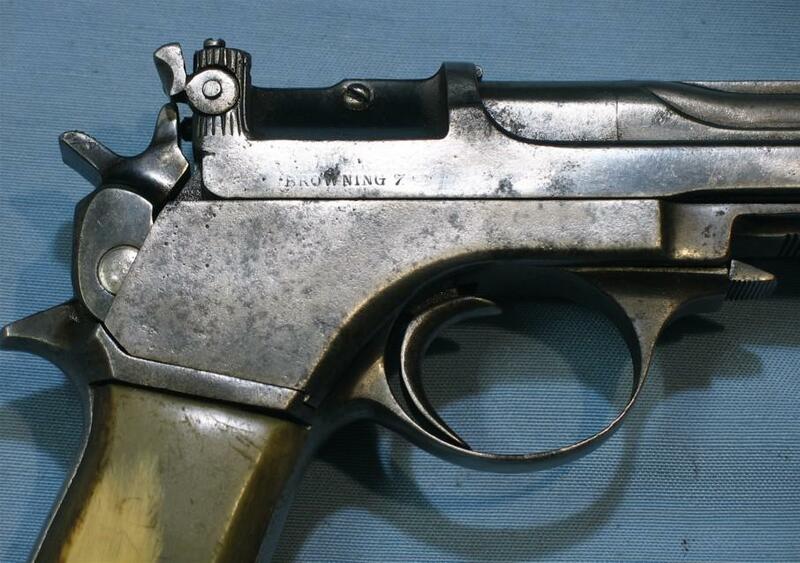 It has replacement grips made of horn, but is still in fairly good shape. 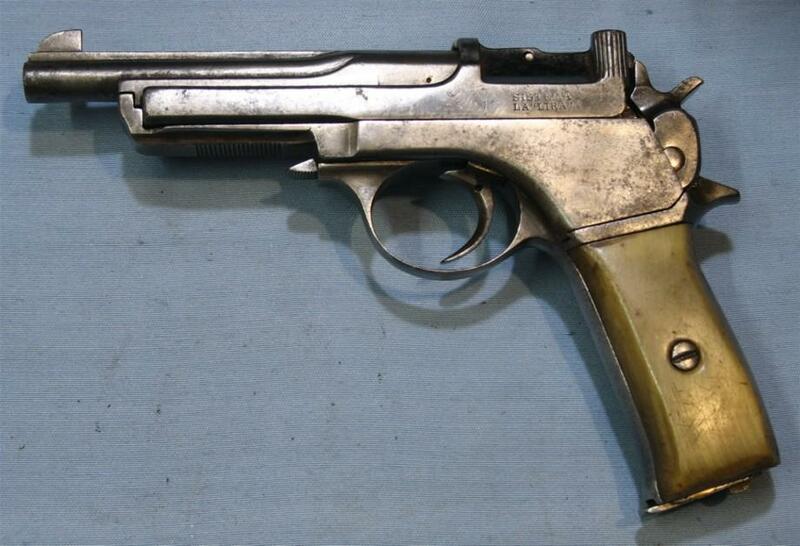 this is a Garate Anitua copy of the Steyr Mannlicher 1905 pistol in 7.65 Browning (32ACP) called La Lira. 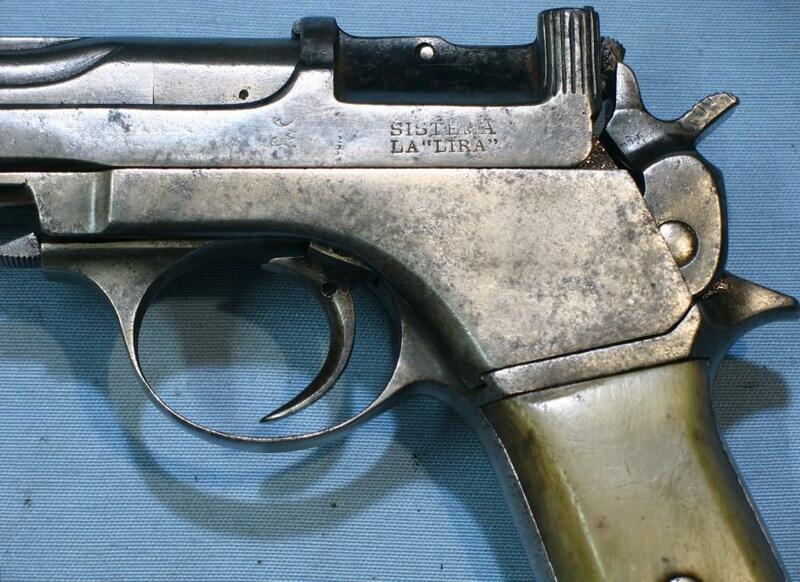 I was not aware that such a pistol existed but has now found reference to it in the book "Spanish Handguns" by Gene Gargarosa. 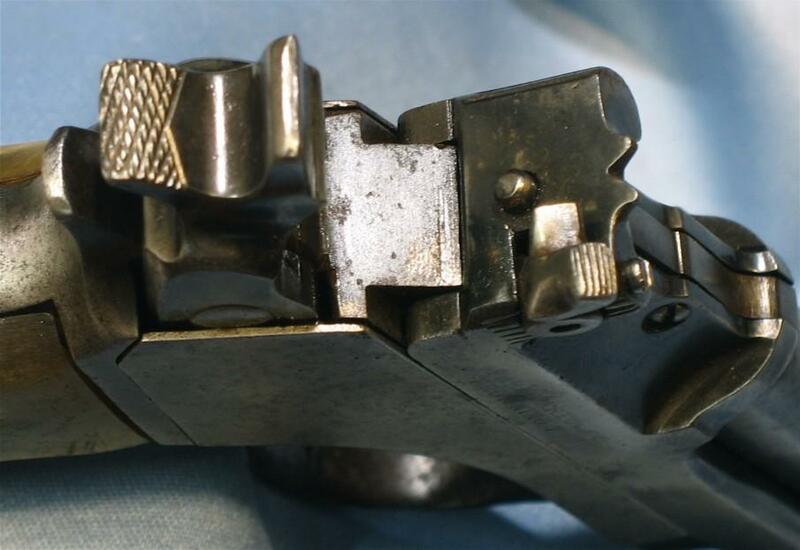 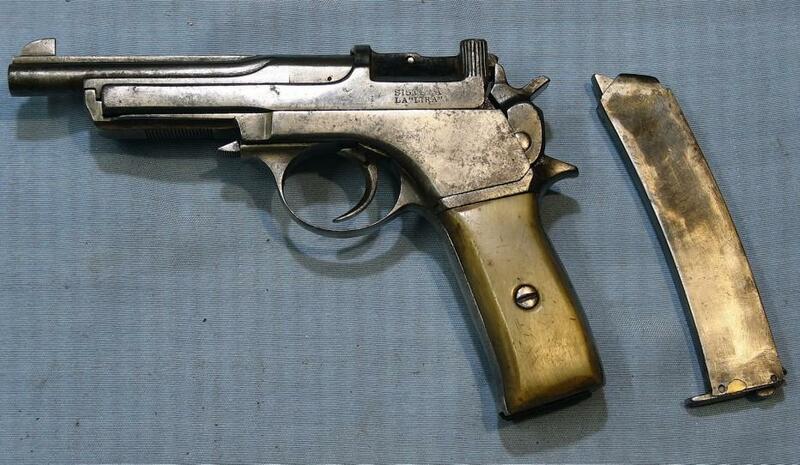 Evidently it was made about 1910-1914 and unlike the original Mannlicher this pistol has a removable ammunition clip.